Men in London are three times more likely to be victims of acid attacks than women according to police statistics. Globally, acid attacks are often described as form of gender-based violence against women who are thought to account for 80% of victims worldwide. In the UK however, it’s much more likely to be a form of gender-based violence designed to emasculate men. Hospital reports suggest that 62% of patients treated in England following acid attacks were male and figures from the Metropolitan Police show that 76% of recorded acid attacks were directed at men. 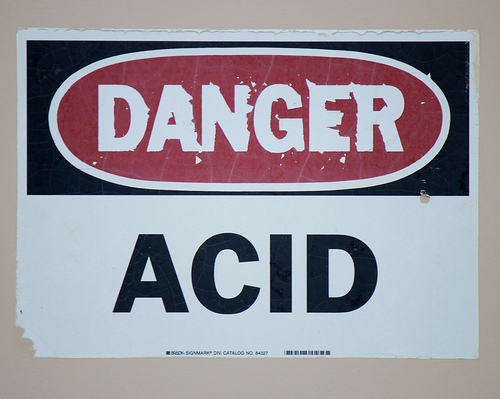 The acid attacks against men are generally linked to gang violence. According to Dr Loretta Trickett, from Nottingham Law School, the disfigurement caused by an acid attack carries shame for gang members as it represents a permanent and visible reminder that they weren’t “man enough” to defend themselves. “The whole concept of victimisation is often very difficult for men and it’s particularly difficult, of course, within a gang culture which advocates toughness and violence, because this is the only form of masculinity that these young men have,” she says. A former gang member, Jermaine Joseph Lawlor, told the BBC that acid attacks were a way of humiliating and degrading a male victim. “It’s not a knife attack, it’s not a gun attack, it’s an acid attack” he said, adding that men with these types of injuries are regarded with pity, rather than being considered “scary or intimidating” whereas a man with a knife would or scar would be considered a “bad boy” that you “don’t mess with”. This entry was posted on November 13, 2013 by equality4menuk in #EndViolenceAgainstMen&Boys and tagged acid attacks against men, crime and violence against boys, Dr Loretta Trickett, end violence against men and boys, gender-based violence against men, Nottingham Law School.